Despite escalating provocations by the Israeli hard-right settlement movement, indirect talks begin this week between the Israeli and Palestinian leaderships. On Friday, U.S. envoy to the Middle East, George Mitchell, will begin shuttling between the two parties in an attempt to build confidence and create the environment for direct talks. Palestinian public opinion is very divided over the start of the negotiations and prominent officials from both sides have suggested it may be too late to create two states, instead opting for one democratic state where all members are equal. LIA TARACHANSKY, PRODUCER, TRNN: The United States began mediating indirect talks this week between the Israeli government and the Palestinian Authority. The US envoy to the Middle East, George Mitchell, is expected to begin shuttling between Ramallah and Jerusalem on Friday. The talks will be the latest attempt since the so-called peace process began 17 years ago with the interim Oslo Accords of 1993. In 2000, talks officially collapsed when the late Palestinian leader Yasser Arafat met with former Israeli prime minister Ehud Barack for the Camp David II Accords. This time, US President Barack Osama suggested the negotiations will address the main issues at the center of the conflict. Unlike the failed 2000 talks, Obama’s administration said Jerusalem and the issue of Palestinian refugees will be on the table, but potentially at a later stage. He also said the issue of Jewish-only settlements on the occupied Palestinian territories will be addressed. In the war of 1967, Israel occupied the West Bank from Jordan and has since begun transferring its citizens to the occupied area, contrary to international law. The Palestinians say the construction of these Israeli-only colonies creates facts on the ground before negotiations allow for an agreement on the future of the territories. Besides borders, refugees, and settlements, Jerusalem became a central issue hampering the resolution of the conflict. In 1980, Israel announced the entire city, whose eastern part was captured in ’67, as well as a massive territory stretching nearly to the Jordan River in the east, Ramallah in the north, and Bethlehem in the south, will be Israel’s eternal capital. No country retained its embassy in Jerusalem in protest. And in the two-state solution which the US is pursuing, East Jerusalem is meant to be the capital of a Palestinian state. This is why in 2008, when the last Israeli prime minister, Ehud Olmert, offered almost all the territory of the West Bank in exchange for keeping East Jerusalem, the Palestinian Authority refused. In the process of confidence-building this time around, George Mitchell, the US mediator, managed to secure from Israeli Prime Minister Benjamin Netanyahu a series of gestures for the Palestinian side. Netanyahu offered to release 1,000 Palestinian political prisoners, remove some checkpoints in the West Bank, and somewhat reduce the siege on Gaza for the negotiations to start. His government, however, hasn’t said what it’s willing to put on the table in the negotiations themselves. Obama offered to hold a global summit if the negotiations fall through. The Arab League, which endorsed the talks on Saturday, gave them a four-month deadline. In March, when negotiations were close to starting, the Palestinian president, Mahmoud Abbas, walked away because of what he called a provocation: the approval of 1,600 new Jewish-only housing units in the occupied Palestinian East Jerusalem. This time around, the talks aren’t free of provocations either, leading to a pessimistic start. Giora Eiland of Yedioth Ahronoth writes that "The first objective is maintaining a process for the sake of the process. 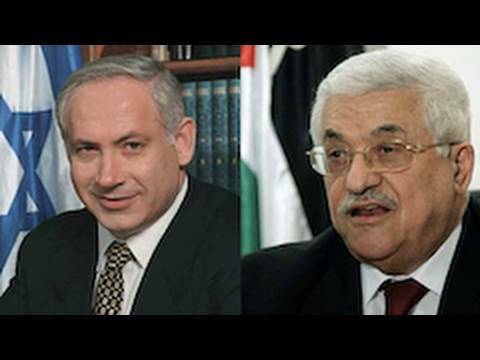 For Israel, the ongoing process mitigates the international pressure exerted on us; for the Palestinian leadership, the process is the main justification for the continued rule of the veteran leadership. . . . The second objective of both Israelis and Palestinians is to ensure that when the current round of talks fails, the other side will be blamed for it." The central contributor to the pessimism, besides the fear of a disingenuous offer, is recent provocations by Israeli hard-right settlers. On Tuesday, a mosque near the Palestinian city of Salfit was torched, with local residents and Israeli investigators suspecting nearby settlers. The village is surrounded by the Illit, Ariel, and Shilo colonies. This is the second such incident, as settlers were arrested only four months ago for torching a second mosque in the region. The incident was also the latest in recent provocations, in particular by settlers from Hebron and the East Jerusalem neighborhood of Sheikh Jarrah. This strategy’s typically coupled with destruction and provocations that typically lead to clashes and repression. A Haaretz editorial this week writes that now that Palestinian acts of violence have almost entirely disappeared, that justified criticism of Israel’s incitement has taken the lead in a diversionary war that some senior ministers are waging against the peace process. The use of incitement became particularly clear when a right-wing settler demonstration was given permission to march through the Palestinian East Jerusalem neighborhood of Silwan. The march, led by Hebron settler Baruch Marzel, was first supposed to take place during the days of protest a month ago, but was postponed to the weekend before last. Marzel is considered the ideological descendent of the late Rabbi Meir Kahane, an Israeli politician who advocated the ethnic cleansing of Palestinians. Graffiti sporting his ideas is seen all over the West Bank today. RABBI MEIR KAHANE, ASSASSINATED KNESSET MEMBER: The Arab is a cancer in our midst. And you don’t coexist with a cancer. A cancer you either cut out and throw out or you die. TARACHANSKY: Despite the provocation, the settlers failed to elicit a violent response from the Palestinians, who instead held their own demonstration. It was attended by Israeli and international solidarity activists. CROWD (SUBTITLED TRANSLATION): You have no shame! No holiness in an occupied city! TARACHANSKY: Twenty Palestinians were injured early in the day, when youth in Silwan threw rocks at riot police, who responded with rubber bullets. Having failed to elicit a violent provocation, settlers organized a mass gathering for the Israeli fire festival Lag BaOmer in the Palestinian East Jerusalem neighborhood of Sheikh Jarrah. It is a central area in the struggle against several takeovers of Palestinian homes. Again, however, the settlers’ gathering failed to provoke a response. Instead, rumors in the Israeli press broke out that the Israeli Prime Minister Benjamin Netanyahu issued verbal orders to slow down settler construction in East Jerusalem. Israel also went through the dismantling of ten settlement units in East Jerusalem, an order on which its forces nearly never follow through. In fact, the Silwan march led to the marginalization of the right-wing settlers, even by other right-wing settlers. For example, while their march through Silwan was mainly attended by settlers from Hebron and Sheikh Jarrah, settlers from Silwan itself met with the local Palestinian ["MOOK-tel"] and together condemned the march, saying that the settlers will be coming into the neighborhood from the outside and stirring up trouble. Even right-wing commentators such as Shlomo ["AN-gil"]from Israel’s right-wing paper Yedioth Ahronoth said the provocation was counterproductive. The latest march poses a clear threat to anyone interested in Jewish sovereignty in the whole land of Israel, meaning Israel with the occupied territories, and particularly in Jerusalem. He continued to say that, instead, settlement activity is to be achieved through tight and quiet cooperation among government and city hall officials, the police, and village residents. The Palestinian leadership attempted to raise the stakes in anticipation of the talks. Last week, Palestinian Prime Minister Salam Fayyad threatened to declare a Palestinian state, with or without negotiations, by the summer of 2011. After the president, Mahmoud Abbas, denounced this provocation, Fayyad retracted it. Abbas’s decision to go through with these indirect talks faces opposition also from within his party. Many from Fatah, as well as the other PLO members, such as the Palestinian Front for the Liberation of Palestine, or PFLP, and also Hamas, warned against the negotiations, saying that the resumption of talks will only enable further Israeli violations. Also, Palestinian public opinion is very divided on the negotiations. According to a recent poll by the Nablus university An-Najah, 48.7 percent of the Palestinians polled supported conducting direct negotiations, while two-thirds disagreed with indirect negotiations. The PFLP, the second-largest party in the PLO, issued a statement against the talks, saying these negotiations serve Israeli and American goals only and not the Palestinian and Arab people, suggesting the option of one democratic state where all citizens are equal. This option, which has historically been marginalized in Israel, saw the support of the speaker of the Israeli parliament. Reuven Rivlin said last Thursday that signing an agreement with the Palestinian Authority was pointless because the Palestinian president, in his opinion, couldn’t deliver the goods. The speaker said that one state where Palestinians have equal rights and citizenship may be the only option, but for the moment, the United States seems to be pushing through in an attempt to create two states.